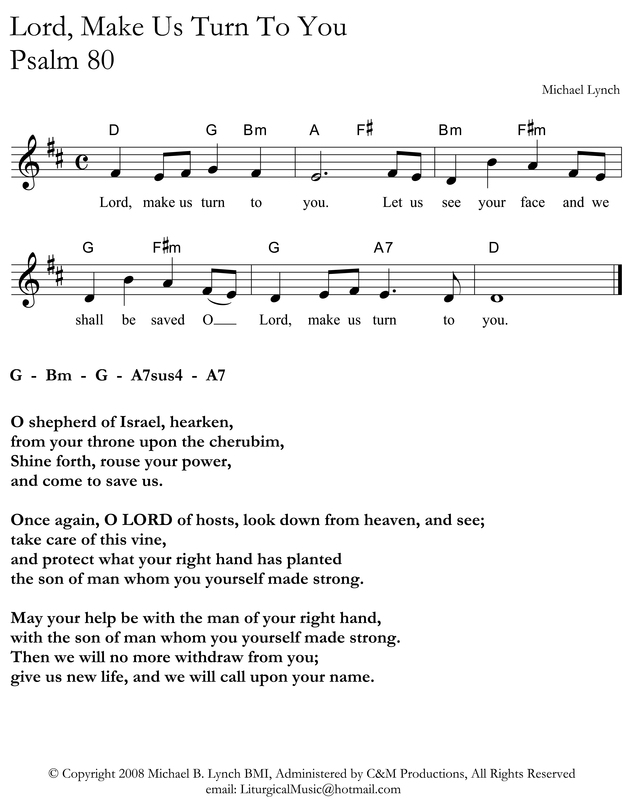 Over the past 42 years of my work as a liturgical musician and composer I have written over 500 settings of the Psalms which we sing as a response after the First Reading every Sunday. 32 of those years I along with my wife Collene Lynch have led the congregation of Christ The King Parish in Seattle, Washington in the singing of these psalms. 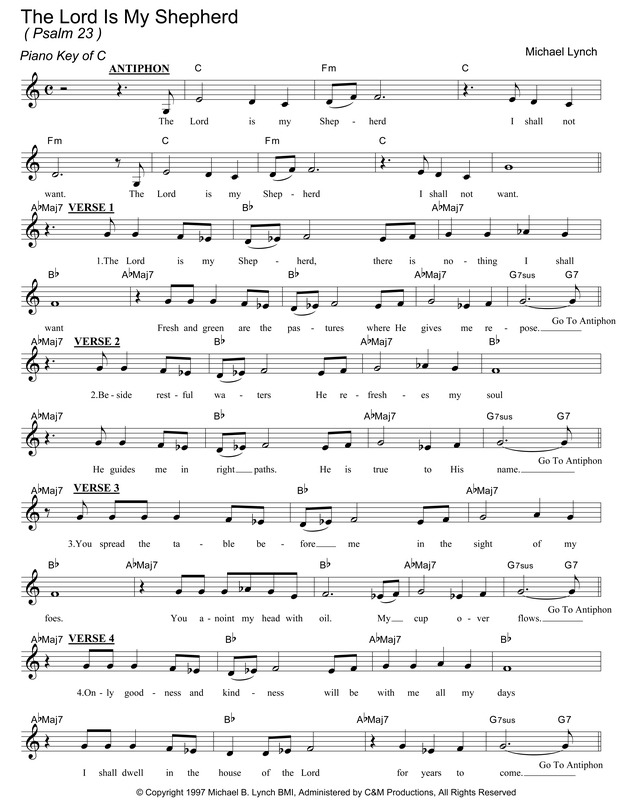 I have composed settings for virtually every psalm in our 3 year cycle. Even today, I continue to be inspired to compose new settings which will ultimately end up on these pages. In this web site I will endeavor to share these Psalms from week to week that can be freely used by parishes everywhere. On Sunday Nov 20th, 2011 our Responsorial Psalm is Psalm 23 “The Lord Is My Shepherd” Below is an image file of the psalm which can be saved by right clicking, “save picture as” then printing out. I will be posting these regularly giving music directors a week or 2 or more to be planning, preparing and rehearsing these settings.